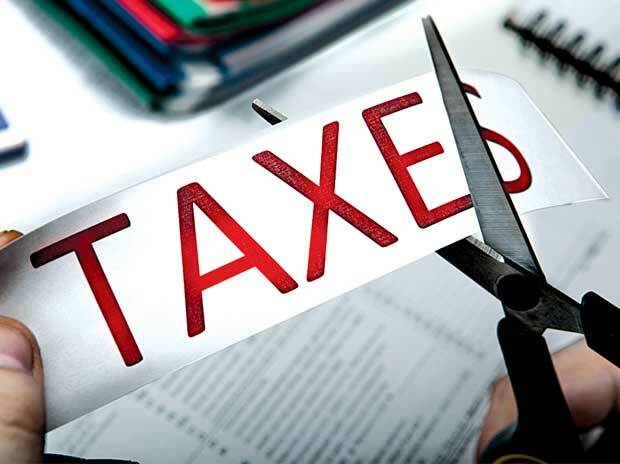 Will tax simplification actually happen? HomeWill tax simplification actually happen? Imagine that you live in a large residential complex and you need to avail of services such as security, garbage clearance, maintenance of common areas, swimming pool, etc on a continuous basis. The complex management itself runs a property services management business, which provides these services. All residents have to compulsorily use the services of this 'property manager'. Some services are compulsory, while some are optional. You need to pay the property manager on a monthly basis for the services availed by you. But working out the exact amount on a monthly basis is time-consuming and complex. Hence, you agree to do the calculations once a year and pay ad-hoc amounts every month. The property manager charges a higher than required ad-hoc amount every month on the plea that it will refund the excess, if any, and even agrees to pay a nominal interest on the delay in such refunds. This sounds reasonable till you see what actually happens. The property manager keeps his accounts on a cash basis. The ad-hoc payments collected are treated as his real income. Refunds are treated as expense in the year in which they are made. The property manager now has a perverse incentive to delay the refund, as it shows higher profits in his accounts and the cost of delay is small. The property manager also frequently disputes the amounts calculated by the residents and demands higher sums than what are justified. The residents, thus, have to pay heavy ad-hoc amounts every year and wait for a year to end to get their refunds with meagre interest amounts. The only silver lining is that residents themselves elect the property manager once in five years. Just substitute the property manager with the government of India and the ad-hoc payments with tax deduction at source (TDS) and you can understand what Indian taxpayers go through. The government has become used to accounting for TDS as its income even though it knows a significant portion needs to be returned as refund. Every year, the government simply postpones the problems by pushing the refunds further back, as it knows the cost of pushing it back is very low. The problem gets bigger every year as there is no accounting for the refund that is due from this 'income'. The income tax simplification committee headed by judge R V Easwar was appointed to make recommendations on ways to reduce litigation, promote ease of doing business, and increase the predictability and certainty of tax laws. The first recommendations have been published recently. They clearly show their deep understanding of not only the big issues, but also their intimate familiarity with the nuts and bolts of income-tax administration in India. The report, if accepted and implemented, can significantly simplify tax laws and increase the ease of doing business in India. It will also ease the burden of useless litigation on both tax payers and the government and leave the revenue department free to allocate resources to go after tax evaders rather than delay refunds of genuine tax payers. Interest at 12 per cent a year for refunds delayed beyond six months and at 18 per cent a year for delayed beyond 12 months. This applies to both big and small tax payers. This recommendation, if accepted, will substantially reduce the perverse incentive for delaying refunds and remove one of the biggest bugbears for tax payers. Complete overhaul of the TDS provisions providing for more transparent mechanisms, increase in threshold limits, reduction of TDS for individual tax payers and easing the TDS payment and credit mechanisms. Standard ways to treat common disputes such as capital gains on shares, securities, land and building, disallowance in respect of expenses incurred to earn exempt income, re-opening of assessments of past years, penalty provisions, etc. Ease of doing business measures such as presumptive income scheme for professionals and standard measures for stay of disputed demands. Several nuts-and-bolts recommendations that make the tax administration process transparent and time-bound, which will significantly reduce the harassment for all tax payers - big and small.